Seasoned fava beans and a fresh tomato puree topped on toasted baguettes make a simple & delicious seasonal appetizer. A perfect accompaniment to almost any meal. 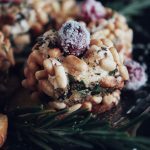 Like most other bloggers, there is an endless list of recipes that I someday hope to get around to. Everyday, I find something new, whether it be on Pinterest or other blogs I visit…everywhere I go I am constantly inspired by food! Of course, due to other demands and life in general, I can’t make everything I would like to. It is for this very reason that I love being a part of the Secret Recipe Club. 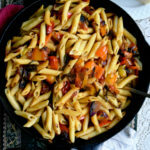 Each month bloggers are assigned a blog from which they must recreate an original recipe. Then on ‘reveal day’, we publish our recipes, thus revealing whose site we have been assigned. It is a nice way to meet new foodies and try recipes I would probably not have made otherwise. In this case, I chose fava beans. They are in season and with their beautiful green coloring they are a perfect addition to any summer table scape. If you want to join in on the fun, feel free to apply to SRC. New Members are always welcome. This month we were assigned Authentic Suburban Gourmet, a beautiful site that boasts of fresh, seasonal fare. You’ll fall in love with Lisa (and her cute little pups Marty and Stewart too)! 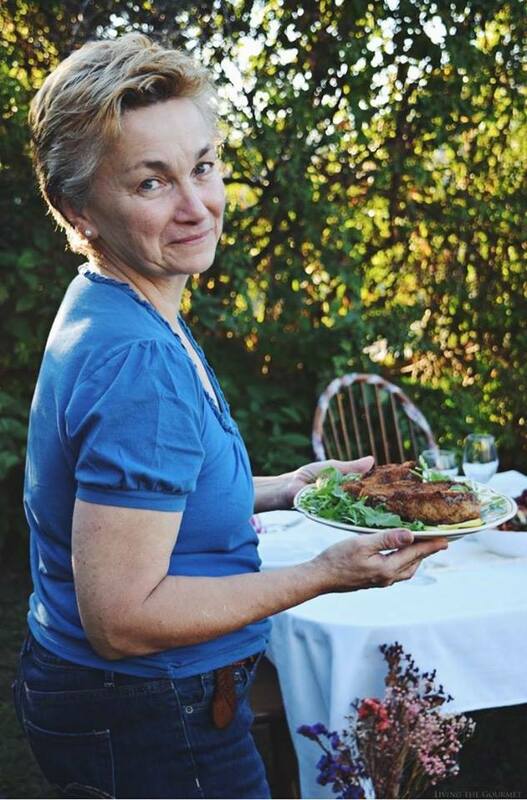 She is a wonderful cook and I have had such great joy cooking from her site this month. I have about ten more recipes I would love to make added to my long and endless list. From cookies to salads and everything in between, there is something for everyone to enjoy. I was perusing through Lisa’s site for something light and summery, while branching out and trying something new. Then I discovered her fava bean crostini. In all my years of blogging, I have not one fava bean recipe. I could not believe it either. We had these last weekend for dinner. The air was hot and humid and I didn’t want a fussy dinner. I served them along with my citrus salad. It was a perfectly light meal and I could not have asked for anything more. …As Lisa says, “Fava beans are one of life’s delightful pleasures.” Well, they certainly are. 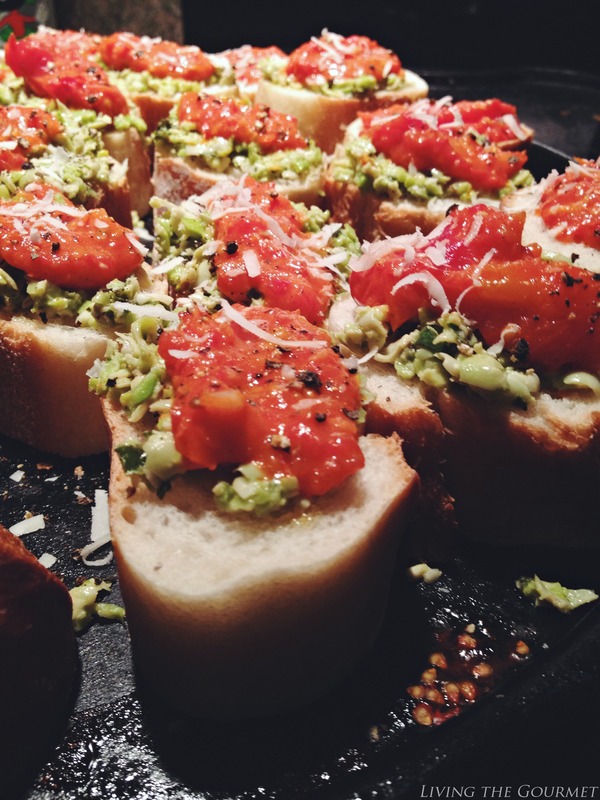 We made a few changes to Lisa’s original recipe for Fava Bean & Roasted Tomato Crostini. Instead of topping with roasted tomatoes, I made a fresh tomato puree with garlic, balsamic and fresh basil then topped that over the fava beans. Bring the fava beans to a quick boil; drain and place in cool water. Remove the beans from their shell and place in a food processor with the grated cheese, olive oil, salt, pepper, red pepper flakes, balsamic vinegar, lemon juice and fresh basil leaves. Give a few good chops to this mixture then refrigerate while preparing the tomatoes. Place the tomatoes on a baking sheet and bake for 10 – 12 minutes. Place the cooled tomatoes in a food processor with the garlic, salt, pepper, red pepper flakes and olive oil. Give this mixture a few good chops. Slice the bread approximately one inch thick and place on a baking sheet with a drizzle of olive oil. Bake 5 – 6 minutes; then remove from oven. Place a spoonful of fava bean mixture on each slice of bread, top with the tomatoes, fresh grated parmesan cheese and an extra drizzle of olive oil. 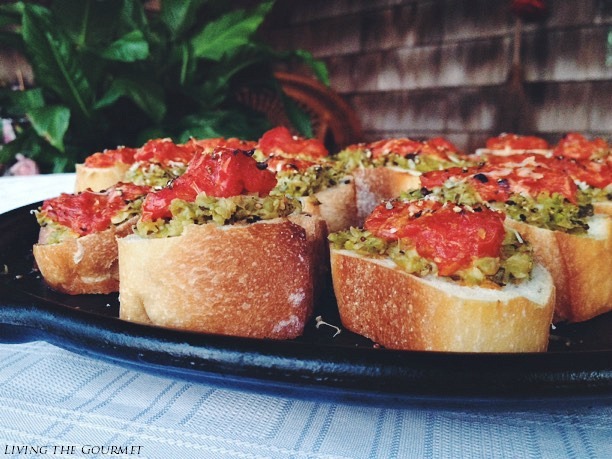 These crostini look droolworthy! Must check our local market to get some fava beans to try this. This sounds like a wonderful crostini. I love fava beans I bet the flavor combo with the tomatoes is perfect. 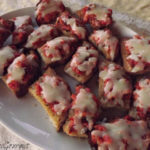 This crostini looks fantastic,Catherine! I love the use of fava beans. I never think to use them, so this sounds just perfect. What a great appetizer! Oh wow they look really good! I love fava beans but rarely have them! I'm going to search some down to make this recipe. Great SRC choice! 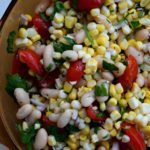 This is such a creative recipe, Catherine, and I'm so happy to get some inspiration for using fava beans, I always pass them by at the farmers market because I don't know what to do with them! Mmmm, I love fava beans and usually make a Moroccan-style puree spread for crostini. I love this variation - so light and summery! This crostini looks absolutely delicious! Pinning! YUM! I have never tried Fava beans but this looks amazing. Pinned it to make later. 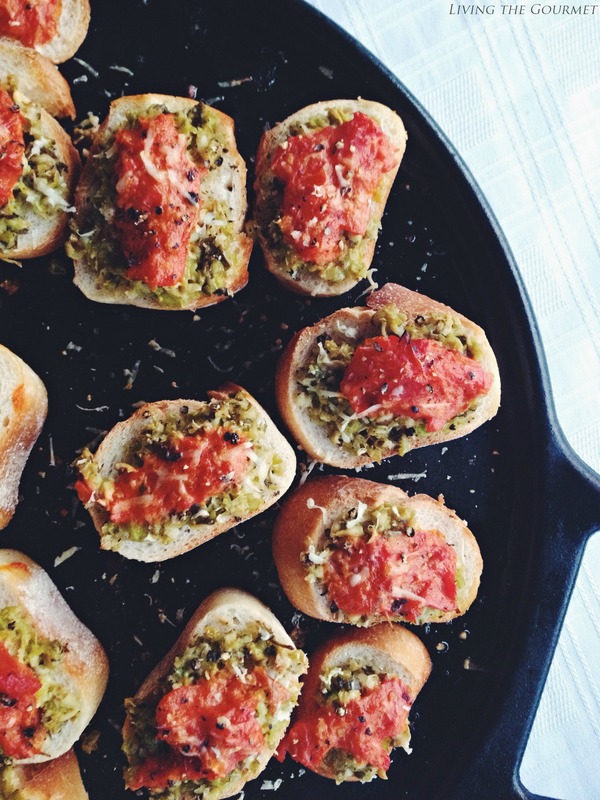 These are the perfect party appetizers! I just got so hungry looking at these! That looks and sounds amazing! A really lovely recipe. Thank you for sharing! Greetings from Sweden! This looks absolutely decadent and ready for a magazine cover! I can't think of fava beans without thinking of Hannibel Lector, but I'd be willing to try this! Thanks for sharing at Merry Monday! 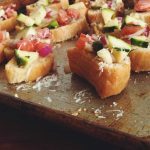 I adore crostini and these look fantastic!